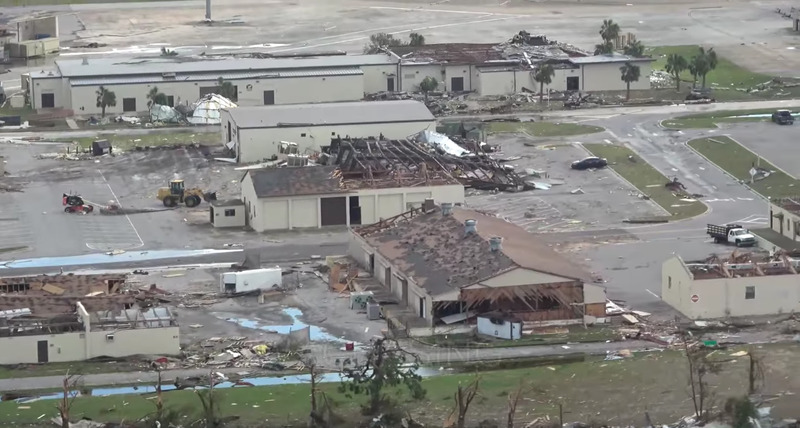 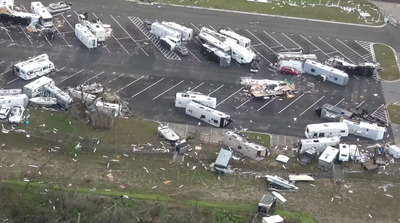 The Category 4 storm also rocked Tyndall Air Force Base near Panama City, Florida, likely damaging several aircraft, possibly even the US Air Force’s prized F-22 Raptors. “A number of aircraft were left behind in hangars due to maintenance or safety reasons, and all of those hangars are damaged,” Air Force spokeswoman Ann Stefanek said, according to Military.com. 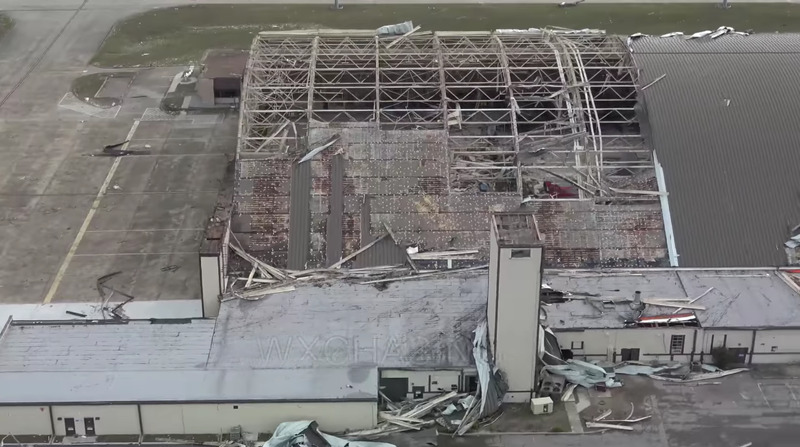 “We anticipate the aircraft parked inside may be damaged as well, but we won’t know the extent until our crews can safely enter those hangars and make an assessment,” Stefanek added. 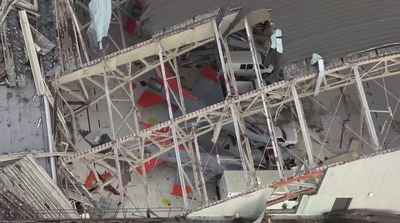 Here’s what some of the damage looks like. 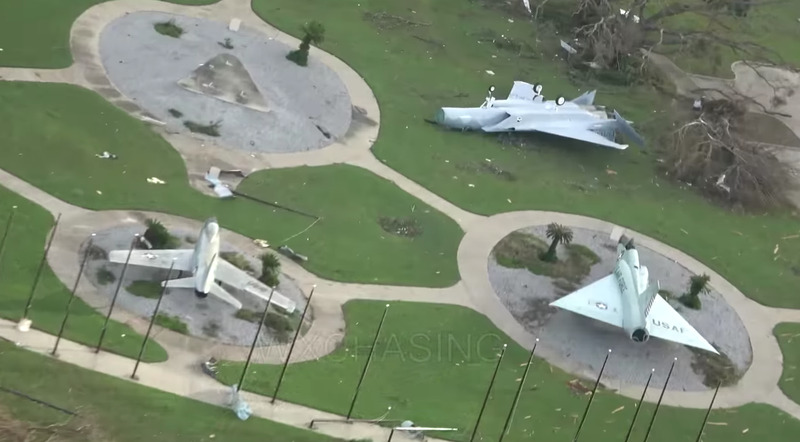 Here’s the only photo we’ve seen yet of one of the F-22s left behind. 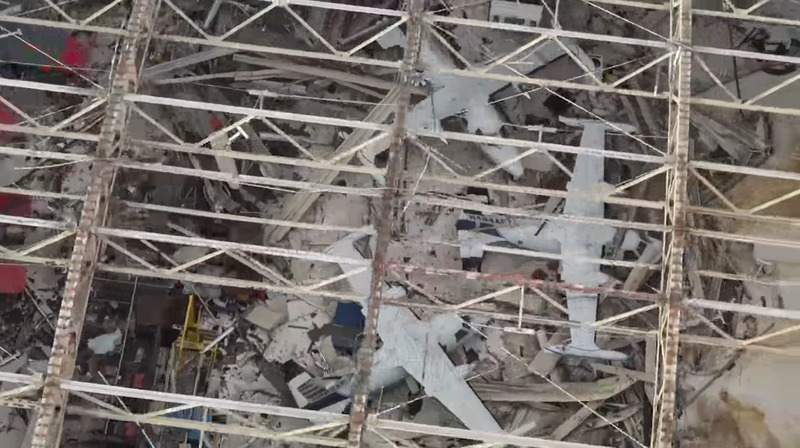 The hangar is clearly damaged, but it’s unclear if the Raptor was as well. 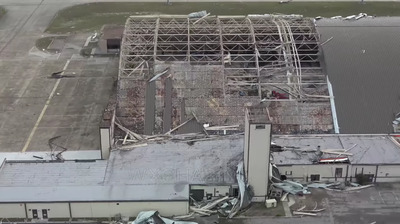 Here’s another badly damaged hangar shot from a helicopter by a storm chasing group called WXChasing.